Most airlines these day only offer food for purchase onboard aircrafts. Their menus may not meet you dietary requirements so it is best to plan ahead. Most airlines will offer their menus online so you can check ahead. Most airlines these day only offer food for purchase onboard their aircraft. Their menus may not meet you dietary requirements so it is best to plan ahead. Most airlines will offer their menus online so you can check ahead. 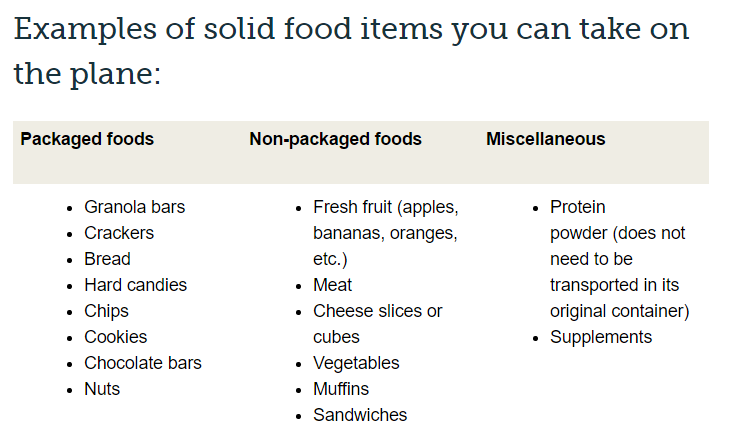 Did you know that solid food items, such as sandwiches, apples and granola bars, are permitted in both your carry-on and checked baggage when travelling within Canada? If your destination is outside of Canada, any food not consumed, including food in checked baggage, will be subject to the regulations of the country you are visiting. The advantages to booking with a travel agent is we are happy to check this all for you!